The best way to celebrate one year old birthday! 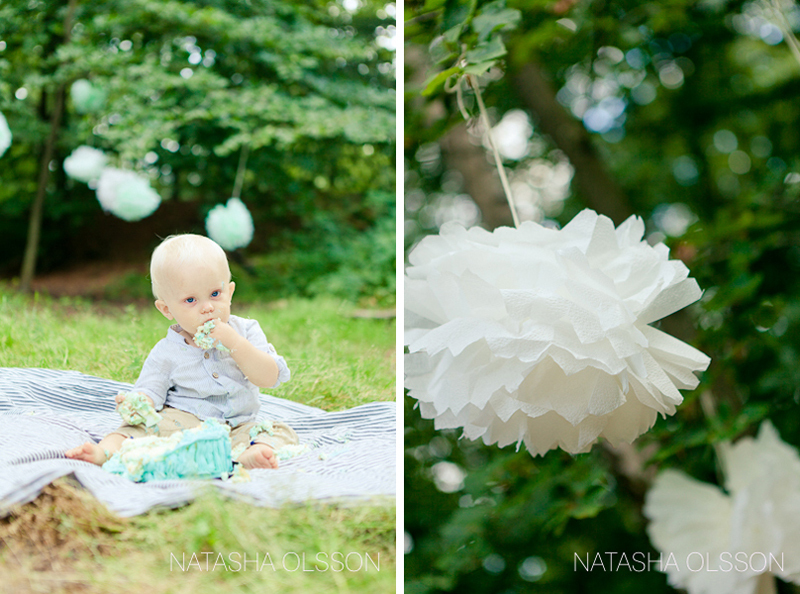 Thinking about celebrating your baby’s one year old birthday in a cute way? 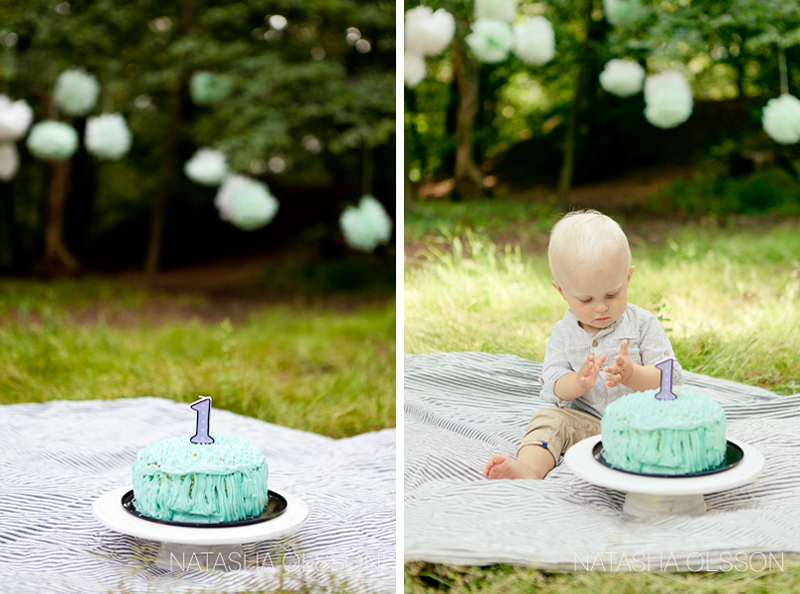 Cake smash photo session is what you need! I am blessed with most adorable families to photograph! 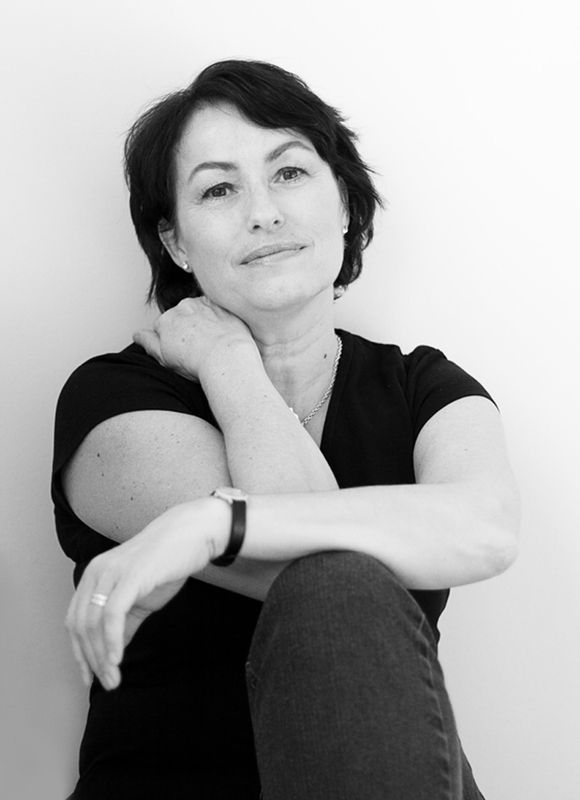 And watching the families grow is one of my favourite things about being a photographer. It seems like yesterday this baby turned the world of his parents upside down, blew away everything that they knew about love and taught them different kind of love. 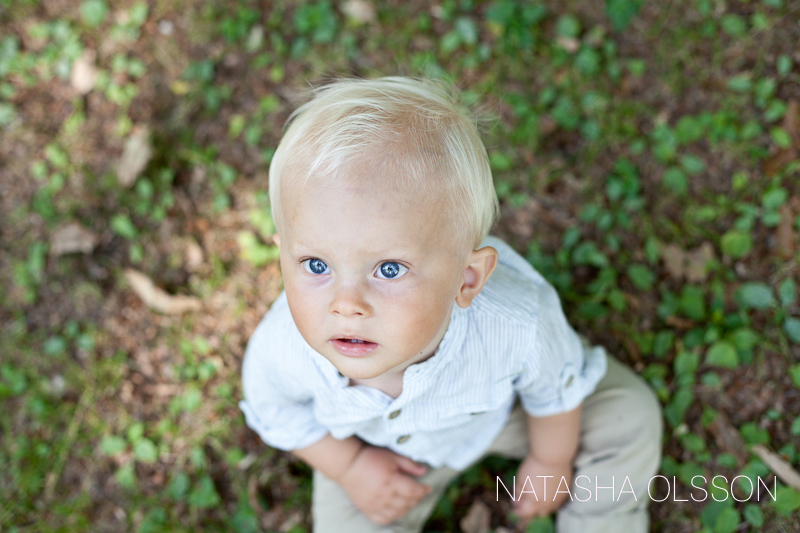 One year ago we were taking Albin’s newborn pictures (don’t miss the slideshow) and now this mini Brad Pitt is one! O.N.E! His beautiful deep blue eyes, his whole range of emotions and strong will makes me adore him even more. “He just wants to walk” said his mom Karin as she pulled out little Albin from the stroller. And boy, she was right! Just imagine a pregnant girl with a camera running around a curious one year old who is just about to master walking on his own and discover the whole wide world around him. This boy made me work hard! 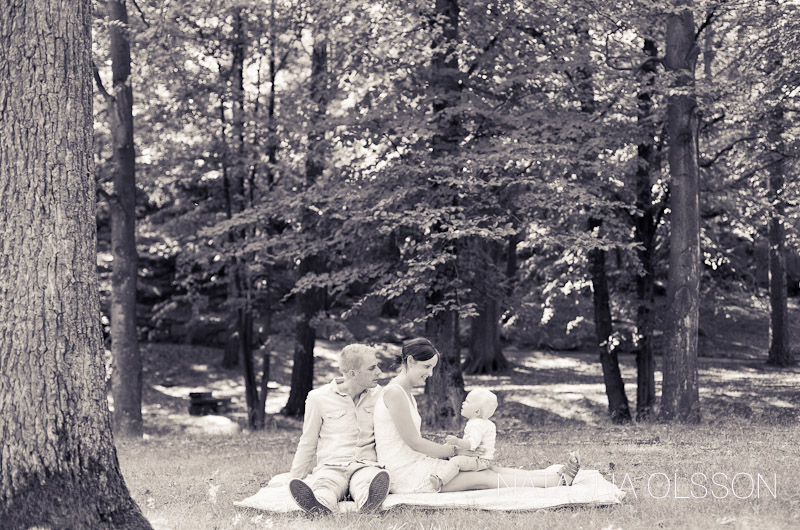 I love when families go that extra mile for the photo session to make it unique and personal. 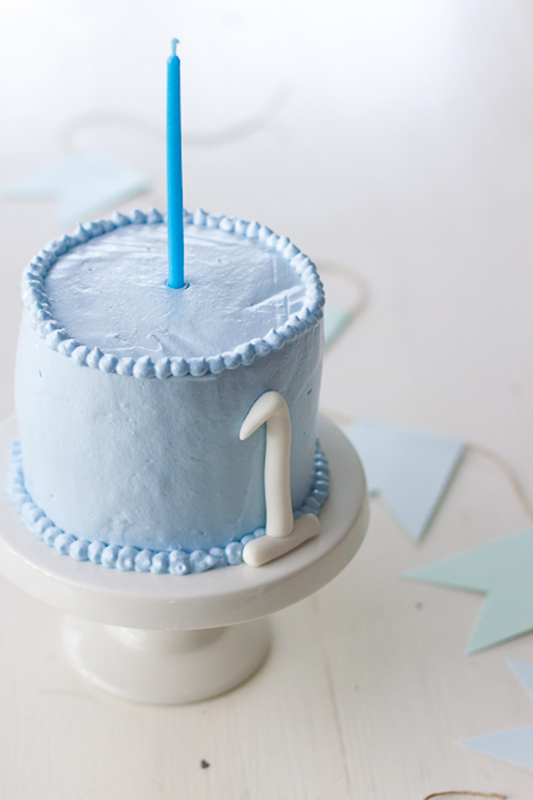 Karin made this mint-blue cake creation that Albin made sure to smash as soon as he got a chance. 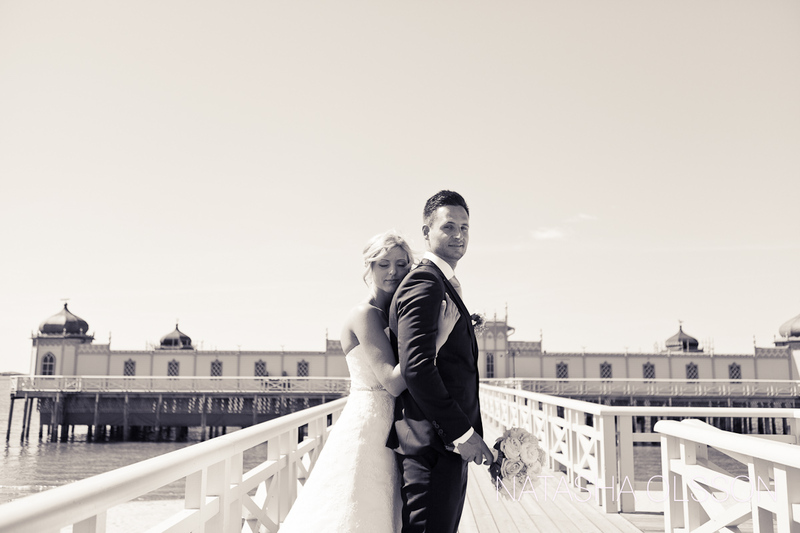 Albin loves water. In fact, he has been swimming since he was just a couple of months old. Being in the water comes so natural to him! 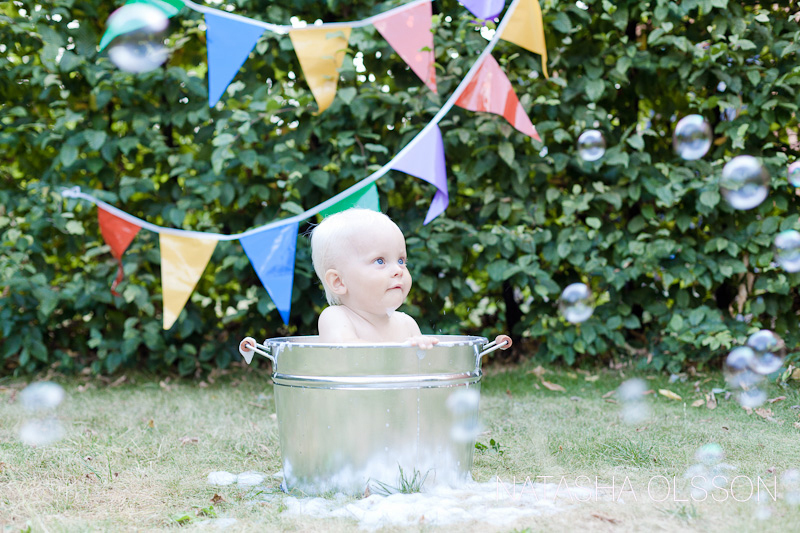 So our session ended up in a wet and bubbly way – in the outdoor bubble bath! Who wouldn’t love that! 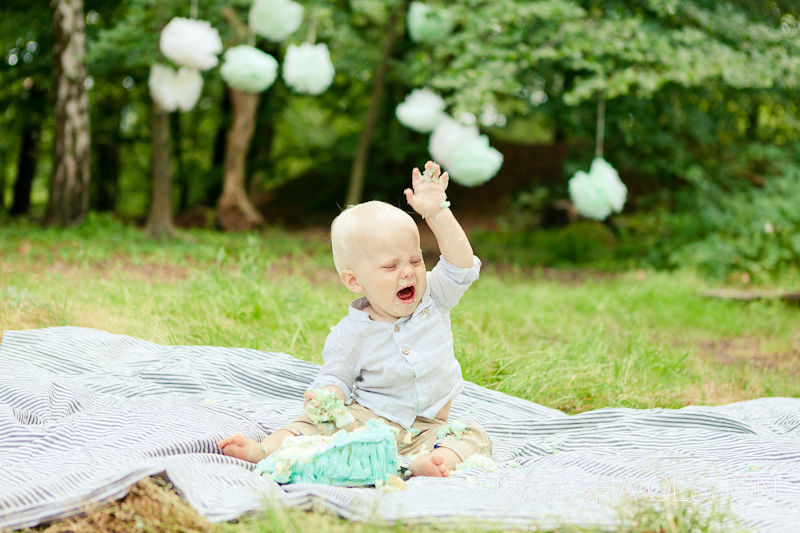 If you can’t get enough of this cute baby make sure you check out his newborn pictures and a slideshow!